Finally, we comic con and geek gathering lovers come to the cosplay. Look everywhere and you’ll see a great part of attendees willing to brave the crowds in full costume gear. This in popularity were the sights of Harley Quinn in Suicide Squad movie attire, Star Wars, and the usual Marvel movie fanfare. Always welcome, such elements have been a part of the comic convention circuits for decades, with roots going back to the old days of Ren Faires and Star Trek conventions. 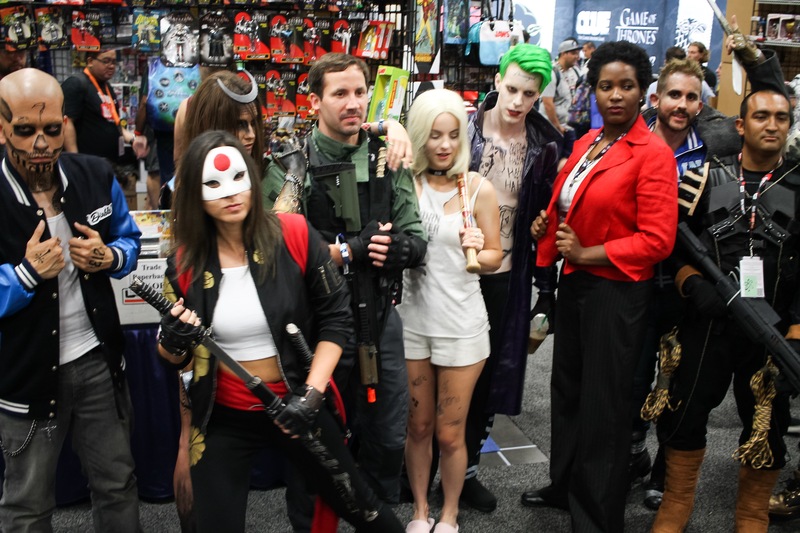 So here goes, the latest in cosplay trends and thrills which gather my attention, in my featured pics below with more notes and commentary. That’s all for the cosplay, but not for my Comic Con coverage. The last installment will be on the SW site soon, with a mix of leftovers and wonders that made the 2016 a memorable year. Look forward!